2. Use Winzip or a similar program to extract the file MLCadLangSpanish.dll into the same directory where MLCad is installed. 5. 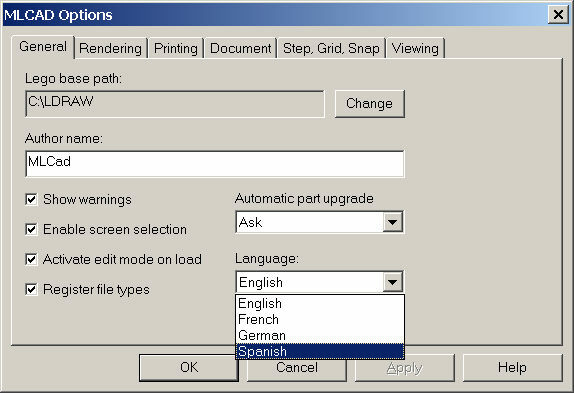 Re-start MLCad and it will speak Spanish! This file might not work in all machine configurations and thus is provided "AS IS" - USE AT YOUR OWN RISK. Feel free to contact me for advice if you can't get to work. sponsor, authorize or endorse this site.